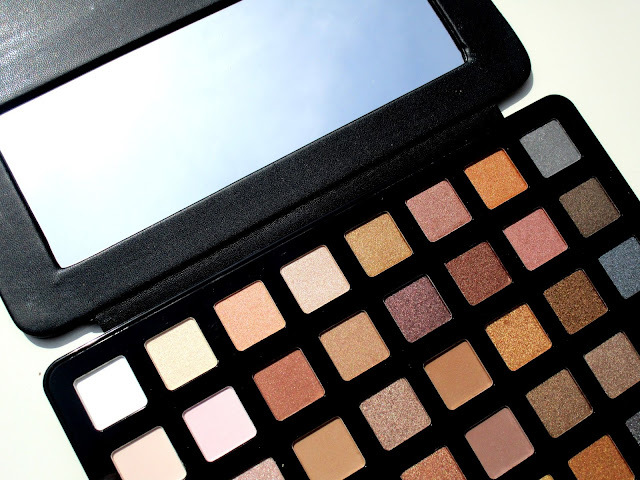 I love a good ole neutral eyeshadow palette and when I saw Freedom's Black Arts Pro Artist Pad in the goody bag that I got from Makeup Revolution's 2nd Birthday bash I instantly fell in love, I just had to review it for you all today so that you could all enjoy its gorgeousness as much as I do! The Freedom Black Arts Pro Artist Pad comes packaged just like an iPad, it honestly looks like you have an iPad sat inside a leather effect case but instead when you open the case it's eye shadows inside and not an iPad he he. Personally I love the packaging, it's quite sturdy and so different and contains a decent size mirror which is always appreciated! 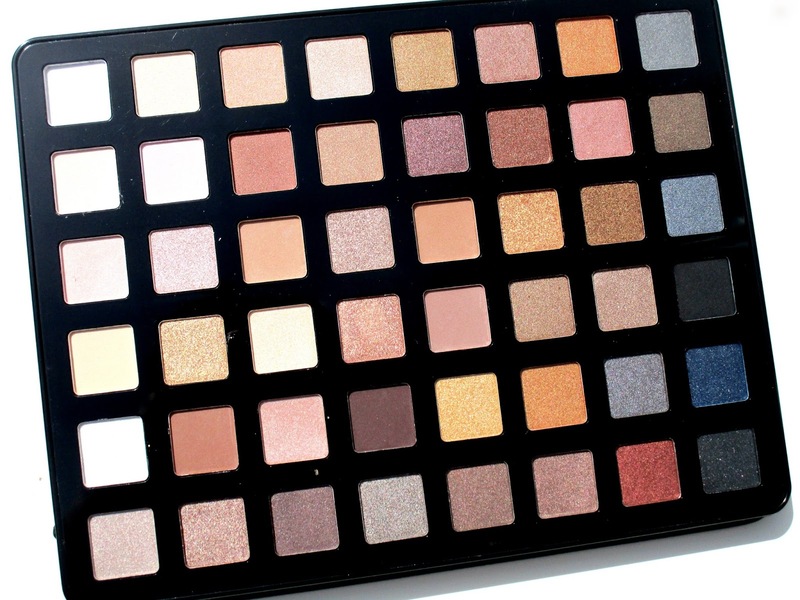 Within the palette are 48 (yes I did just say 48) gorgeous neutral eyeshadows in a mix of matte, satin, metallic and shimmery finishes, trust me this palette will have you oohing and arrhhing when you open it for the very first time as that's exactly what I was doing he he. The shades range from light to dark with mostly warmer tones making up the palette with a few cooler shades thrown in for good measure too, theres literally every neutral shade you could ever need or wish for within this palette, it's so pretty! 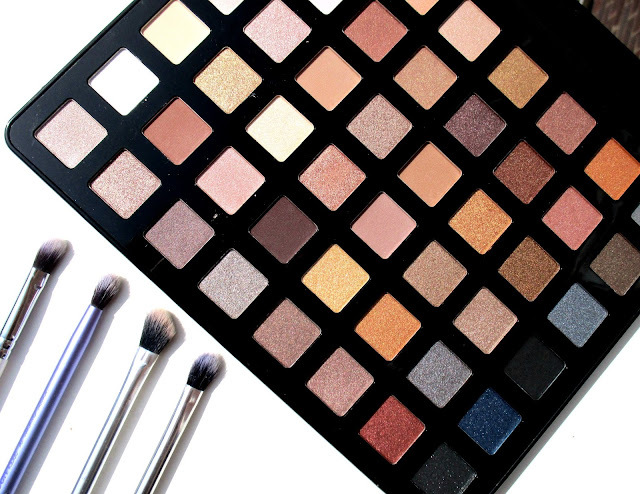 The quality of each eyeshadow within the Freedom Black Arts Pro Artist Pad is so good and left me so impressed, they are packed full of pigmentation, all buttery soft to swatch, easy to work with and blend out a treat and they last great on my oily eyelids without any creasing or fading for most of the day which is a major bonus for me. Overall I've been absolutely loving this palette and really cant knock it at all, it's perfect for any makeup beginners or for anyone looking to grow their collection like myself, and can you believe it's only £15.00, yup that's right, £15.00 for 48 eyeshadows, what a beauty bargain! Watches replica are more effective top quality chronographs which can be extremely valued by the most trendy watch gurus.You can easily find replica handbags from the label at good discounts because it is more convenient to compare different online stores than to do so for land-based shops. If you are patient enough in your research, it won’t be long before you can have this high end replica Christia.